Book, containing information about all US tax returns filed and taxes paid in 2017. Sifting through the data, one statistic stands out for expats in particular: international US taxpayers are much more likely to be audited compared to Americans living in the States. The figures are stark: overall, around 0.5% of tax returns were audited. For US taxpayers overseas however the figure is staggeringly high – 5.2% of tax returns filed from abroad were audited last year. It sometimes seems like the IRS has an illogical but deeply rooted suspicion that all Americans living abroad are avoiding US taxes, whereas the truth of course is that the vast majority of expats are simply ordinary Americans who happen to be living extraordinary lives. US law requires Americans to file a US tax return reporting their worldwide income wherever they may live, whether in the US or abroad. This is because the US taxes based on citizenship, rather than on residence. Expats often have further reporting requirements too, as they may have to file an FBAR to report their foreign bank and investment accounts, and they also have to claim one or more of the available exemptions such as the Foreign Tax Credit or the Foreign Earned Income Exclusion when they file to avoid having to pay US taxes. The only real good news is that expats get longer to file, with an automatic extension extended to expats until June 15th, and a further extension available until October 15th upon request. How does the IRS choose who to audit? While many audits are chosen at random, there are some particular IRS red flags that could lead some expats to be more likely to receive an IRS audit letter. These red flags typically include having self-employment income, high levels of deductions, rental real estate losses, a high ratio of charitable donations to income, reported income levels at odds with bank balances reported by a foreign bank (under FATCA legislation, nearly all foreign banks and investment firms are now reporting their US account holders’ details to the IRS), and simply high income levels (e.g. over $200,000). What should US expats do if they receive an audit letter from the IRS? Expats who receive an audit letter (and it will always be a letter – a communication regarding an IRS audit by email, SMS, or phone is most likely a scam) should in the first instance not panic and seek to understand what exactly the IRS wants. In many cases, the IRS may just want to see some supporting documentation. Audit letters have a notice number in the top right-hand corner that may indicate the issue. If it’s not clear from the letter though, it’s also worth finding out whether the audit is a correspondence audit or whether you will need to meet with IRS agents in person. If the latter, it’s usually worth employing a tax attorney to accompany you. Whatever the scenario, always be calm, courteous, helpful, and transparent when communicating with the IRS, as acting in any other way will increase the likelihood of headaches down the line. How can expats can avoid an IRS audit? The best step that US expats can take to avoid an IRS audit is to employ a reputable expat specialist tax accountant to help them prepare their US tax returns. 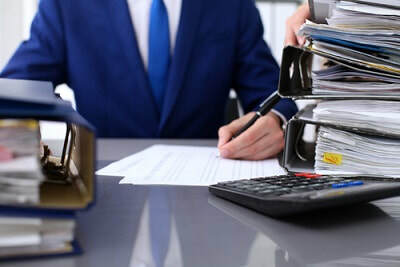 As US tax filing is typically more complex for expats than for Americans living in the States, expats with all but the simplest circumstances should think carefully before preparing their own tax return. It’s also important for expats to do their due diligence and research before hiring a CPA firm to help prepare their expat tax return, to ensure that they feel confident in the credentials and specialist knowledge of the firm they choose. Finally, we would recommend that expats always keep their records for at least 3 years after filing, just in case, as most audits happen around 2 years after a return has been filed.